We appreciate your feedback about your support experience with WooCommerce, developers of Deli. This helps us maintain high standards on the WooMarketplace, and helps WooCommerce improve. Deli is a Storefront child theme featuring a texturised, earthy design, perfect for stores selling natural, organic or hand made goods. 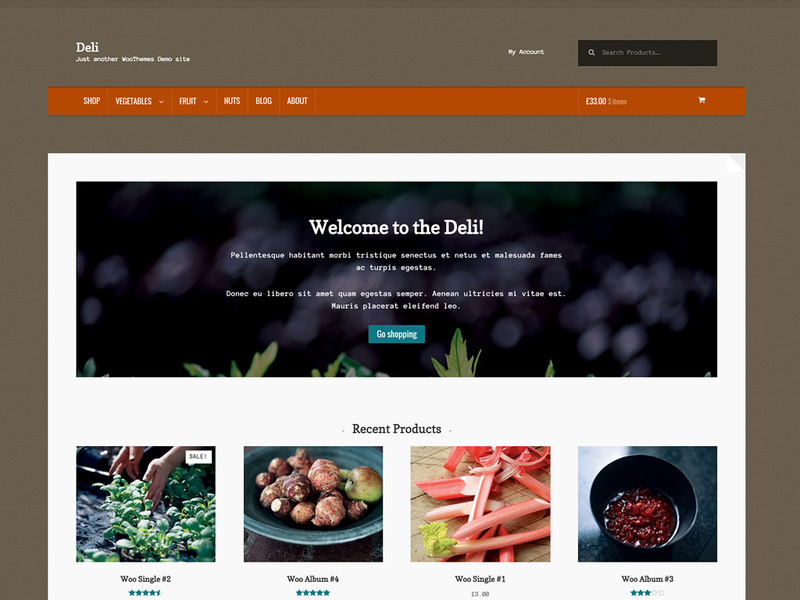 Being a child theme, Deli provides a quirky new design for your shop while still being powered by the rock solid Storefront parent theme. Deli is the perfect child theme for smaller businesses who are looking to communicate their personality and visual identity online. The color scheme and textures of the design are inspired by nature making Deli a good choice for a shop selling down-to-earth products such as hand made arts and crafts, health foods or even gardening equipment. It’s built upon Storefront so you will enjoy the rock solid foundation and WooCommerce integration that Storefront provides as well as bulletproof integration with all of the Storefront extensions.